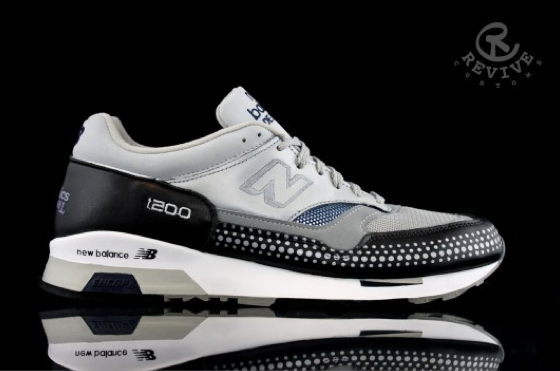 Much respect and props to the people over at NEW BALANCE for taking kick rocking to new heights with the release of the “New Balance M1500 x Technics SL1200MkII Custom” joints…. 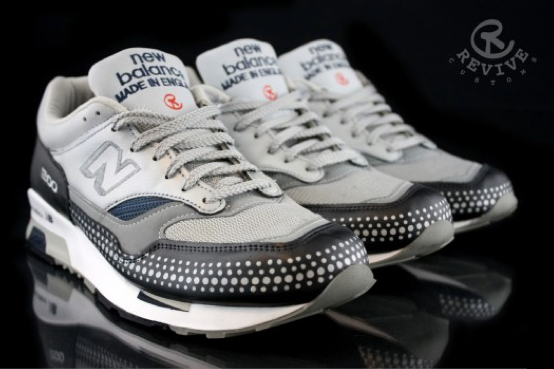 “The New Balance 1500 Made in UK is a model enjoyed by many. The success of the ‘Chosen Few‘ is solid proof, now what do you think about a Customized one ?? Let’s talk about this project “New Balance M1500 x Technics SL1200MkII Custom” directed by Revive Custom, Hip Hop activist, painter, turntablist, sneakerhead and footwear designer from Brooklyn NY whom for many years has worken on many Custom Projects, my dear colleague Psy did a review a few weeks ago of Evan’s ‘Nike Air Force 180 Robinson Custom‘ project. It is his love for Hip Hop that the concept has emerged, Evan aka Revive Custom pays tribute to the legendary Technics Technics SL-1200′s whose manufacture was ceased in 2010. My man Blair who grew up in the HIP HOP movement, Selecta, Crate Digger and sneaker addict, suggested to Evan to use the New Balance M1500UC as a base shoe. The realization of this “Custom” is very neat, the color code of the ‘SL1200MkII’ was ingeniously observed and the “Highlights” of the “make-up” are clever. Here are pictures of this project, only 3 pairs have been produced”.. This entry was posted on December 23, 2014 by hiphopbattlefield. It was filed under Uncategorized and was tagged with new balance 1200.